Diablo 3 on the consoles still persist in our hearts and minds. A lot of the staff will be diving into hell for that while the rest are checking out some lighter affair. Perhaps the new indie gem Legend of Dungeon will swoon the Co-Opticrew. Nick Puleo (@NickPuleo) - "I'll be playing more Total War: Rome 2 for our review next week along with Diablo 3 on PS3 and maybe some NHL 14." Andrew Gaskill (@cubninja) - ""
Mike Katsufrakis (@Pheriannath) - "I'll be subjecting myself to more Killer is Dead, and trying not to be terrible at Spelunky. " Marc Allie (@DjinniMan) - "I am going to be at a wargaming convention this weekend, so it will be tabletop armies and board/card games for me." Jason Love (@JLove55) - "Back into Borderlands 2 (on the Playstation 3 now) and attempting to power level my Krieg, Psycho to the highest of levels for more lewt"
Eric Murphy (@smurph_em)- "We've got a big upgrade going live at work, so maybe I'll find time for Mass Effect between go-live tasks and support calls." Locke Vincent (@LockeVincent) -"Legend of Dungeon came out today, so I'm going on an adventure! " 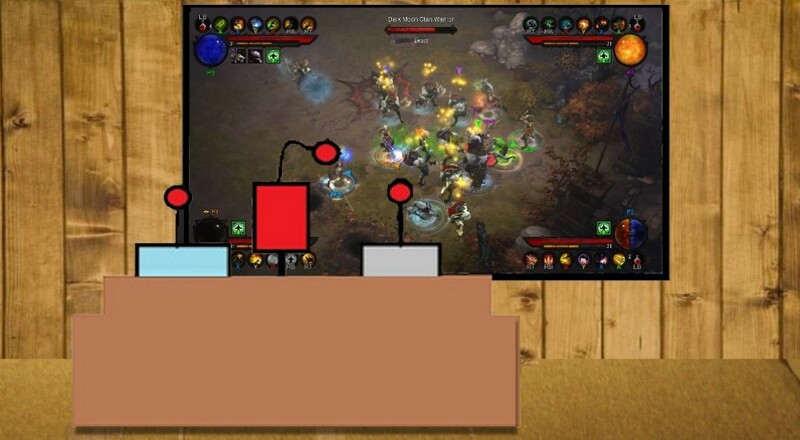 Tally Callahan - "Diablo 3 on the PS3 and tabletop games!" Sam Tyler (@thereelsamtyler) - "Finishing Foul Play for review and then trying to find time for Lost Planet 3." Chris Metz (@The_Lemko) - "Animal Crossing mostly, but I do have Pikmin 3 to finish up." John Bardinelli (@itsamejohn) - "Waiting for nightfall, then finally playing Amnesia." Justin Reynolds (@justinsocial) - "Having finally set my PC up after moving, I'm going to play every PC game I can get my hands on. Which probably just means I'm finally going to finish System Shock 2." Taylor Killian - "I'll be studying genetics with Rogue Legacy, and learning all about Free Market Economics with Payday: The Heist. " Page created in 0.6909 seconds.